A new client that found another clients website & decided he needed one of his own! Roger Meyer for State Senate decided they needed a website by Heartland Internet Solutions after Roger saw another candidates website. He felt that the information that was being provided would benefit his campaign as well. Campaign website need to be up in a hurry, and Heartland Internet Solutions was able to provide that. 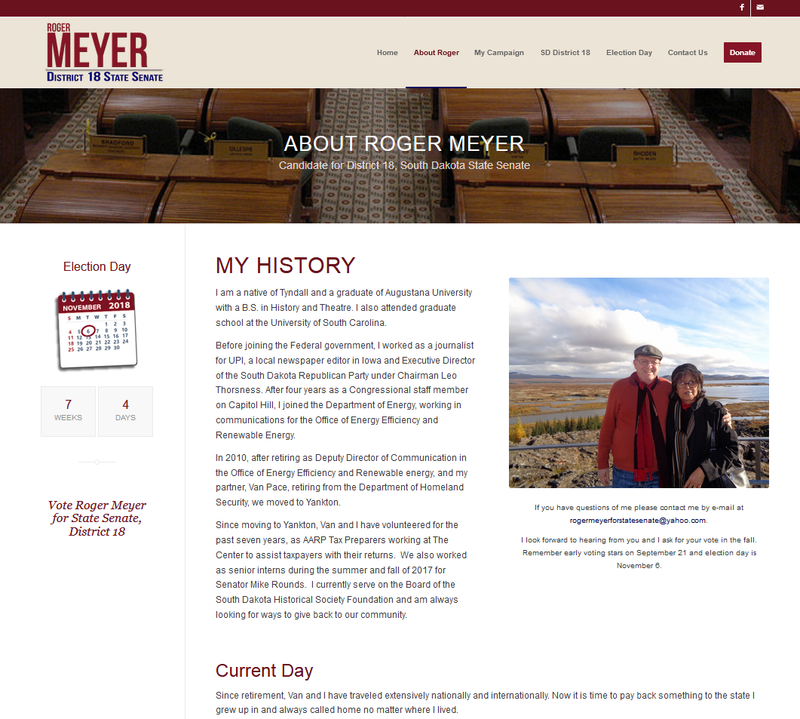 Thank you to Roger Meyer and his Team for letting us provide your website solution. Use of colors that reflect his campaign.